If you need a change of scenery for the weekend, then Mexico provides you with some quick getaway choices. You should check your Mexico auto insurance at Mexican Insurance Store to be sure that your coverage is current. Additionally, make sure that you have a good copy of your Mexican insurance from Mexican Insurance Store.com in your vehicle. This serves as your proof of coverage and demonstrates your ability to pay if you are involved in a wreck. In no time, you can be over the border and resting comfortably at a beach resort in a spot like Ensenada, Rosarito or Rocky Point. Rest or Recreation? Enjoy Both! Your time across the border may be limited, and you may want to simply indulge in a little down time. You can find a nice beach spot and spend the day reading. You may just want to sit by the pool at a hotel. The Mexican pace is slow and easy, allowing you to take things easy. However, if you want to enjoy tourist activities, there are plenty of options. Join a fishing charter, or drive out to a Baja winery. Check out the local shops. Indulge in a couple of fish tacos. A change of scenery can be fun and refreshing when you let your guard down and participate in local activities. 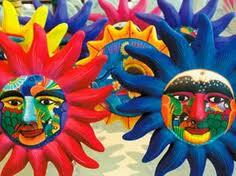 Don’t let your guard down with your Mexico auto insurance at Mexican Insurance Store. Be sure that your coverage includes appropriate limits for your destination as well. If your Mexican insurance from Mexican Insurance Store.com dates to last year, for example, you need to make changes consistent with new indemnity limits determined by the Mexican government. Before you head across the border, you can evaluate your Mexican insurance from Mexican Insurance Store.com by logging into your account by computer or mobile device. You can also call to inquire about your coverage by phone. Mexico auto insurance at Mexican Insurance Store provides you with quality coverage and service. Mexico Auto Insurance at Mexican Insurance Store comes with FREE Roadside Assistance!